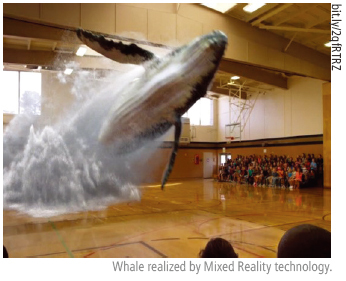 A giant whale soars through the middle of the floor in a student-filled auditorium. It splashes in water and creates noisy sounds. Yet, no one gets wet, even by a single drop. How is this possible? This phenomenon is the result of Mixed Reality, or MR. MR is a one-of-a-kind of technology that can affect our senses of sight and hearing during an event. For centuries, human eyes could only view the world as simple and single-layered. Our vision left us with little room for imagination and we could not easily sense an alternative reality. Nowadays, however, we can see a more diverse and multi-layered world thanks to advances in technology. Recent technologies have begun to transform reality in certain circumstances via computers and other IT platforms. The main platforms currently in use include VR (Virtual Reality), AR (Augmented Reality) and MR (Mixed Reality) technology. Based on their definitions in the IT dictionary, which is written by the Telecommunication Technology Association (TTA), Korea’s statutory organization on ICT (Information and Communications Technology), these three technologies share a lot of similarities in their core purpose. They are all designed to change people’s realizations and alter their life experiences on both a real and virtual level. However, there are also several distinctions. The key differences lie in how deeply they affect user’s sensation and how much reality is present during interaction. In addition to these fundamental differences, users sometimes need to wear certain equipment depending on the kind of technology they use. VR, or Virtual Reality, is an entirely virtual world, with the user completely immersed in a created space surrounded by imaginary objects. This world is computer-generated, and users can experience a sensory effect beyond the limitations imposed by real space and time. Certain equipment is required for this technology. 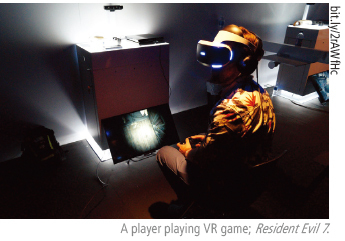 Samsung’s “Gear VR” and Sony’s “Project Morpheus” are examples of devices which use this technology. AR, or Augmented Reality is a reality in which virtual images are superimposed on real scenery. It is based on combining computerized images with what we see in the real world. For this reason, AR is considered more lifelike than VR. Users can also experience AR more easily than VR, because they usually do not need to wear special devices like a VR interface. The recent sensational smartphone-based game “Pokemon Go” is a fitting example of this technology. MR, or Mixed Reality is composed of elements from both the real and virtual world. Its scope is much broader than the other technologies. MR is not 100 percent virtual like VR. Instead, it integrates both the real and virtual world more intensely. Users of MR sometimes need special devices depending on the conditions. The computer-based personal assistant J.A.R.V.I.S. in the Marvel Cinematic Universe is an advanced fictional version of MR technology. 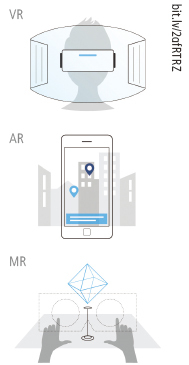 VR/AR/MR use is rapidly expanding in many fields. These include entertainment, education and commercial sales. According to the Financial Times, CCS Insight, a research group, estimates that VR and AR device sales will increase tenfold from 2016 to 2021 for a total of 11 million new devices. The most well-known industries using VR/AR/MR are related to the entertainment field, such as gaming or motion pictures. Many gaming platforms, including consoles and smartphones, already offer or are planning to offer services using these technologies. Some horror games like Resident Evil 7 have already been published and are garnering a lot of public interest. 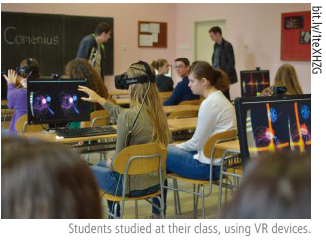 In the field of education, there appears to be tremendous possibilities in near future, because VR/AR/MR can offer a great chance for many students to experience something previously thought to be impossible. For example, students can be transported to an historic event or view an endangered species’ eco-life while sitting in their classrooms. BBC News reported that one platform company distributed VR headsets to students that included a historic content about the Battle of Somme, one of the greatest battles of WW1. 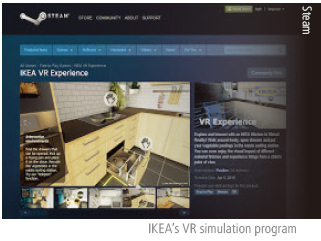 In the commercial industry, the Swedish furniture manufacturer and retailer IKEA already gives customers an AR/VR service so they can pre-dispose of their furniture virtually on their own devices. Many other firms use these reality-changing technologies for their businesses, as well. Until now, a huge obstacle was in place for those interested in using these plat platforms: their exorbitantly high price. Today, however, many devices with reasonable prices have been introduced to the market, and people can experience them beforehand. 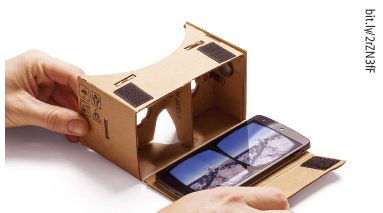 For example, Google Cardboard introduced a simple do-it-yourself VR headset to the public. If the user can obtain some basic materials, he or she can experience it for free. Also, many game-room companies have been founded so people can explore the VR/AR/MR world before purchasing the actual devices. Thus, if you are interested in these reality-changing technologies, you should remember that there are currently plenty of ways to experience them for yourself. Of course, as some reporters discovered at the “MRA 2017” fair, a small fair designed for introducing VR/AR/MR devices, there are still plenty of problems to be solved. These problems include a lack of content, unrealistic textures, and side effects like dizziness. It seems these problems will remain for now because such technology is still in the early stages of development. With gradual improvements, however, we should be able to integrate this technology in many ways in the future and continue to expand our definition of reality.